I recently bought a frame that came with a full carbon fork (my first fork with a carbon steer tube!) Just got done building it up, and on the test ride the handlebars felt wiggly, so I took out the fork and removed the warning sticker to find this nasty crack. The seller and I missed it because it was under the sticker but it was obvious while riding. 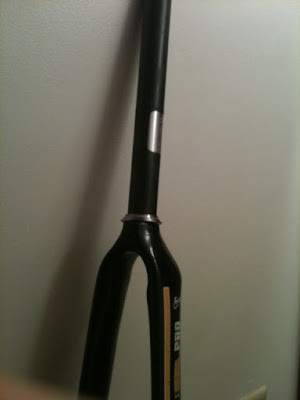 Anyone have a fork with a steel steer tube? Hmm... the seller missed it because it was under a sticker? You are more trusting than I. 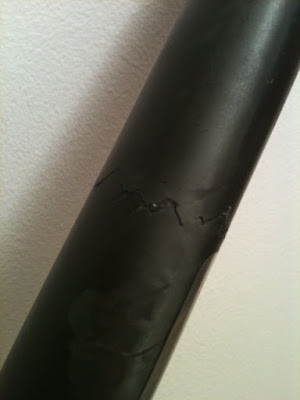 The crack appears to be in the middle of the tube - not a really a stress area. Plus under a sticker. Quite strange. Rivendell is actually offering a steel fork on a carbon trade in bases.